Once the thrill and excitement of owning your own business wears off and the magnitude of what you are about to do sets in, it’s time to roll up your sleeves and do the work. The work involved is not hard, but it will take everything you have and then some. There is the adage that in order to make money, you have to spend money. This statement is especially true for business owners. 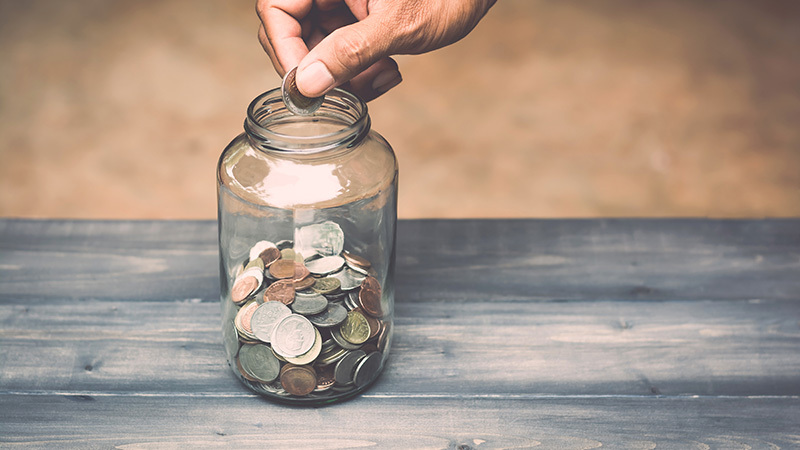 Yes, owning your own business can be a very lucrative venture, but the amount of money you will need to invest depends on how grand you want to go. Before you secure funding you will need to create a business plan and budget. These two documents are essential in setting you up for a successful launch and will help you map out every detail of ownership by detailing the costs of running your dream business. One aspect of your business plan will be Operating Expenses. Operating expenses are the expenses you will incur daily, monthly, and annually to run your business. These expenses are not related to goods and services but rather the incidentals most never think of when dreaming of owning their own salon, spa, or shop. When these expenses are not properly vetted and budgeted for, it can lead to disaster and unexpected expenditures. Whether you want to start small or big, you will still need to consider and invest in operational expenses. Where are you going to be located? Is it an existing salon, spa, or shop, or do you need to build it from scratch? How much can you afford? How long is your lease and can you auto renew? What is the percentage of increase upon lease renewal? If you sign a 5-year lease and it doesn’t have auto renew or you don’t have first right of refusal, you could potentially lose your location just at the moment your business is booming. As a business owner you need to be thinking not just about today, but the next three, five, ten, and twenty years. Research and find the best leasing agent in your area and begin checking out potential locations. Don’t settle and don’t give up until you find the perfect spot for your business. As a business owner, you will need to have business insurance coverage. Depending on how big you go, this can include unemployment, workman’s comp, disability insurance, etc. Each state has different requirements so make sure to do your research and find out what kind of insurance you need. At the very least you will need liability insurance. If you don’t have professional liability insurance, you’re taking a risk that could cost you everything—even future earnings, tax returns, and your credit rating. It’s not just responsible business sense to have insurance; it’s part of being a business owner and an ethical professional in a service industry. If a client were to sustain injury from a service your business provided, even if it was an allergic reaction due to no fault, you are still responsible to make it right. Purchasing liability insurance can be intimidating, especially if you don’t know what to look for. This is not an investment that should be made based on cost alone. Not all insurance policies are created equal, so it’s important to understand what you’re getting. When you begin looking for liability insurance, your insurance policy should cover professional, general, and product liability. Professional liability insurance is used If anything should go wrong during a service you are providing (i.e. a client is cut or over-processed, skin gets burned, or an ear gets nipped). General liability insurance is for the slips, trips, and falls that can easily happen in a salon, spa, or shop. Did you know you might even be held responsible for accidents that happen on the walkway leading up to your business? Product liability insurance kicks in when a client has an allergic or otherwise adverse reaction to the products being used on them. Be wary of the cheapest liability policies. Chances are these policies look like a great deal financially because they have a shared aggregate. A shared aggregate means that, although the policy says you have a $2 million safety net for the year, it’s actually the same $2 million that has been promised to others on the same policy. If another professional on the shared aggregate policy has a $2million payout to an injured client, that leaves zero money left to protect you and the policy is rendered useless for the rest of the year. Make sure your liability insurance has an individual aggregate—you and you alone! Should a claim be brought against you, you will be certain the limits of your insurance policy are all available to protect you. There are two kinds of liability insurance: claims-made insurance and occurrence-form insurance. Claims-made insurance means the insurance company will only have your back if you have a current insurance policy on the date that the claim is filed. Claims are rarely filed on the date the incident occurs. It can take a lawyer years to finally file an official lawsuit. However, if you had occurrence-form insurance but let the policy lapse because you stop working behind the chair or you sell your business and one of your former clients files a claim against you, the insurance company will look at the claim and go back to the date that the incident occurred. If you were insured on the date the incident occurred, your occurrence-form insurance policy, even though now it’s expired, will still go to bat for you. If you don’t want to worry about someone filing a claim after you take a leave of absence or even after you retire, you want to make sure your liability insurance is occurrence-form. You need an occurrence form insurance policy that includes professional, general, and products liability with an individual aggregate. Read the policy to make sure it provides coverage for every service you offer. And don’t buy your insurance based on price; be sure you know what you’re buying so you get your money’s worth. We don’t have insurance because we wake up in the morning planning accidents. We have insurance because we don’t know what anyone else is or isn’t planning. It’s called an accident for a reason. Don’t accidentally lose your business because you aren’t insured. It's important to make sure all your employees are covered under your liability insurance policy and if they are not, they buy their own liability insurance. 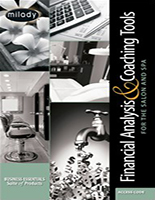 The number of things that can go wrong in the salon, spa or shop is daunting. Save yourself the stress and get peace of mind knowing you have insurance to cover your professional, general, and product liability for any potential mishap. You can expect to pay about $50.00–70.00 a month depending on the type of coverage. Book Keepers will tend to the business’ day to day financials and help prepare all the documentation needed for the accountant. Non-CPA Accountants provide a more in-depth analysis of the overall financial health of the business. They will prepare your taxes and offer solutions you can implement to improve the financial health of your business. CPA: Certified Public Accountants are state licensed accountants. They are held by a code of ethics and have a fiduciary responsibility to their clients, meaning, everything they do and suggest must be in the best interest of their client. This should go without saying, but if you work with a non-CPA accountant, they are not held to same high standards. CPA’s also must meet certain continuing education requirements and are more knowledgeable in tax laws than most non-CPA accountants. For a comprehensive checklist of all the equipment you need, check out this Salon Opening Checklist. One thing for sure regarding big-ticket beauty items- there is almost always a sale around the corner for their purchase! Most major companies have pre-planned sales initiatives to move big ticket items from their distribution centers into the hands of salon, spa and shop professionals. As you consider your next big purchase ask about upcoming sales and promotional activities and plan your buying around that calendar. Shop trade show floors and purchase the floor show models. Show models are often deeply discounted and while they may require a hefty financial commitment upfront, you can often walk away saving hundreds to thousands of dollars. It is also important to remember that often when you buy a floor model the unit may not be available to leave the floor until the last day of the show. This can be a small price to pay for worthwhile savings. If you are considering buying a floor model, make sure to discuss warranty information and terms of the sale with the company sales representative. Sometimes these purchases come with lots of fine print and you want to be sure to safeguard your investment. Consider the advantages and disadvantages of different financing options. Reflect on your business’ credit record and ask yourself what the best option is. Purchasing enables you to own your equipment as soon as the transaction is complete- no strings attached, while leasing allows you to make payments lower than you would if you purchased. Many companies offer a lease to own option as well as special financing to help curb the upfront cost of its popular device. However, some companies don’t offer leasing options. The bottom line- always carefully investigate your options, be crystal clear regarding your short- and long-term goals, and shop for the best rates. If you’re a beauty and wellness pro with less than perfect credit or a challenging credit history, you might have to be slightly innovative in how you get your hands on the best equipment. Less expensive devices might be ideal for the time being while you establish or build your credit. Buying used beauty equipment is also an option. Aside from professional forums where sellers post their equipment and post their asking prices, there might be local salons, spas and shops in your area going out of business and are eager to sell equipment. No matter how you choose to afford new equipment, remember the right equipment can help your business innovate, which is great for your bottom line. It’s important not to get caught up in the flash and bling of new technology. Consider the big picture and the financial implications it will have on your business. Leasing or buying depends on you. There is no right or wrong option as long as you do your research and know what to look out for. When working with a sales rep who offers you a lease option, be sure to find out if there is a buyout option. Most leases will have a Fair Market Value (FMV) option or a one dollar buy-out option. At the end of the lease, you may pay $1 and own the equipment or you may have to pay its fair market value. To make this decision, you must be very confident you want to own the equipment outright at the end of the lease. If you know you will want to upgrade, take the FMV option. Additional details to check out when deciding to lease or buy involve insurance and lease terms. Does the equipment have to be insured? If you don’t have business insurance coverage on the equipment, (which you should have) the leasing company may add additional fees. You also need to know if you can terminate the lease early, if you decide this equipment isn’t working well for you. You may have to pay the lease off and that could include a penalty. Always know your lease terms. Buying is easier than leasing. You decide what you want and go out and buy it. Your purchase will be tax deductible for your business. This could be a very good reason to buy. Eventually, something newer, better and more effective will come along and you will own outdated equipment. You are responsible for the equipment maintenance and repair if something goes wrong. The cost of the equipment could be very expensive. This may require taking out a loan or getting a line of credit that could leave you in a bind with your cash flow. Leasing equipment will keep your expenses predictable. You have a monthly lease payment that can help your budget. You become more competitive in the marketplace when you have the latest in the beauty and wellness technology; leasing allows you to have this equipment when it's trending. Leasing can involve paperwork that includes up-to-date financial information to demonstrate you are creditworthy. If you do not have good credit, this could harm your chances of getting the equipment you need. You often don’t have to pay anything up-front, or if you do, it’s a relatively low amount. However, you will pay more for the equipment when you lease. Interest and fees are added to the lease payment that add to the total price of the equipment. Another big decision you will need to make is what kind of products to carry and services to offer for your back bar and for retail. There are literally thousands of product lines to choose from and it can be overwhelming. But, if you’re prepared to do a little bit of homework, the effort will pay back tenfold. Research what your competitors are using. If the salon, spa, or shop around the corner is carrying the same brand, it’s going to be harder for you to build your personal brand. The same is true if the brand is available at Costco, Sam’s Club, and on Amazon. You want to be uniquely you and offer products that compliment your services and meet the needs of your clients. Check out trade magazines and online resources like Skin Inc, ASCP, Modern Salon, and Beauty LaunchPad. Check out the ads and the product lines being advertised at trade shows. Magazines and online resources are full of companies advertising their product lines. Make notes on the ones that stick out and resonate with you. After you’ve jotted down the names of the brands, make sure the companies have focused products for the services you will be performing. If you’re going to focus on acne treatments, make sure the company has a strong acne line. If you’re going to do a lot of straightening or highlighting, then make sure they have hydrating products. It’s important to have products to support the services you offer. 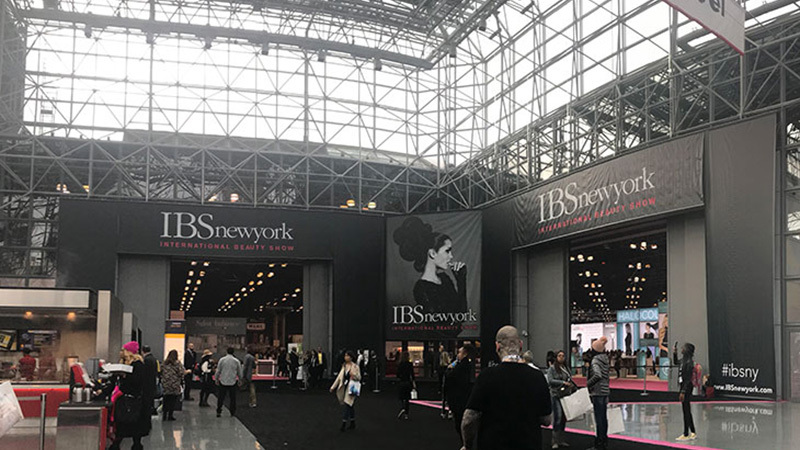 If you can visit large trade shows like IBS in NY, ISSE In Long Beach, IBS In Las Vegas or Bronner Brothers in Atlanta, you can gather information and see what the latest and greatest in product and service innovations are. It can be overwhelming, but you’ll get exposed to many, many options. There will be a lot of pressure to commit for the “Vegas only” deal, but don’t commit at the show. Ask for time to consider your options and request the Vegas discount when you’ve made a clear decision. When you get home, investigate a little deeper. Go to the company website and ask for information. How soon does someone get back to you? Look at social media for more clues. What does the Facebook and Instagram pages of the companies you are interested in look like? Are they engaged with their followers? What kind of educational support do these companies offer? How will they teach you about the products you are going to use and retail? Are online webinars or tutorials available? 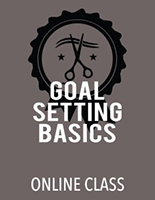 Is a training manual available for you? Will a company rep give you one-on-one time to learn or are regional or local classes or workshops offered on a regular basis? Once you get home, contact the companies for more detail. Talk to a sales or account rep. Ask for samples and find out if there is a local rep in your area. The support of a local rep can help with the success of your retail sales. The rep can provide support at open houses by attending and promoting your business, giving you some financial support for refreshments, or donating products in a gift bag for a give-away or raffle. You can also get samples and learn first-hand about new products. You want to narrow it down to 3 product lines, more than that and it can be too confusing to decide and paralyze you. Once you have your 3 product lines you are interested in then it’s time to dive deeper. Find out about opening orders and shipping costs. Some companies require you to order a specific dollar amount when you want to open an account with them. Some do not. Some companies charge for shipping. Some offer free shipping or offer free shipping if the order is a specific dollar amount. Shipping costs can add up. You should also find out where your order will be shipped from. All of this should be part of the deciding factors when choosing a product line. If you are on the West Coast and your order is shipped from the East Coast, how much longer will it take for you to get your order than if the order is shipped from the Midwest or Los Angeles. Each of those options affects your schedule and how you will manage your time. If there is a time difference between where you are and where the company is located, you need to be mindful of that time difference. Do you place your order online, through the rep, or by calling the company? It is wise to do your research first and find out for yourself what products resonate with you and your business and then once you have enough information, seek out advice from distributor reps. No matter which line you decide to carry, you always want to make sure it’s a good fit for your business, and your clients. With a little extra research, you’ll find the perfect line for your needs. Owning a business is not for everyone. It has its rewards and its pitfalls and just like everything else in life and it is more than just showing up. It takes commitment, discipline, and focus. It’s knowing how much it costs to turn the lights on and how much you need to charge for a service to make a profit. Every new venture starts out with an idea, but it takes due diligence to turn that idea into reality. Here’s to your success!